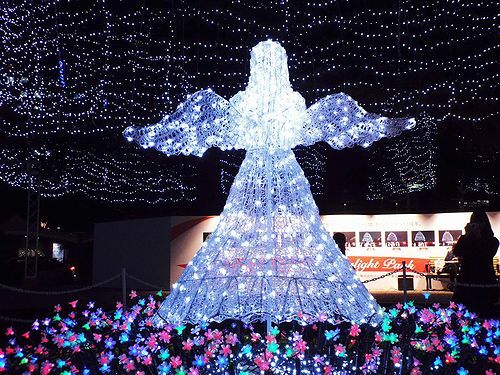 Every December, various illumination events are held throughout the country. 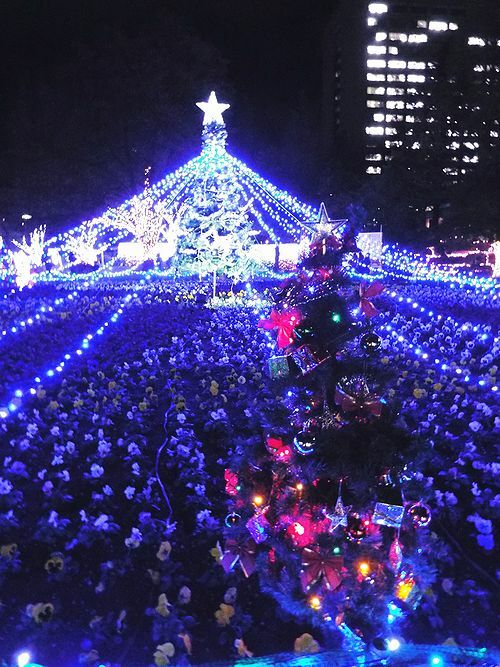 Among them, the “Page of of Starlight” to be held in Sendai City, Miyagi prefecture is a popular event where zelkova rows of trees are wrapped in beautiful illumination, enjoyable from children to adults. 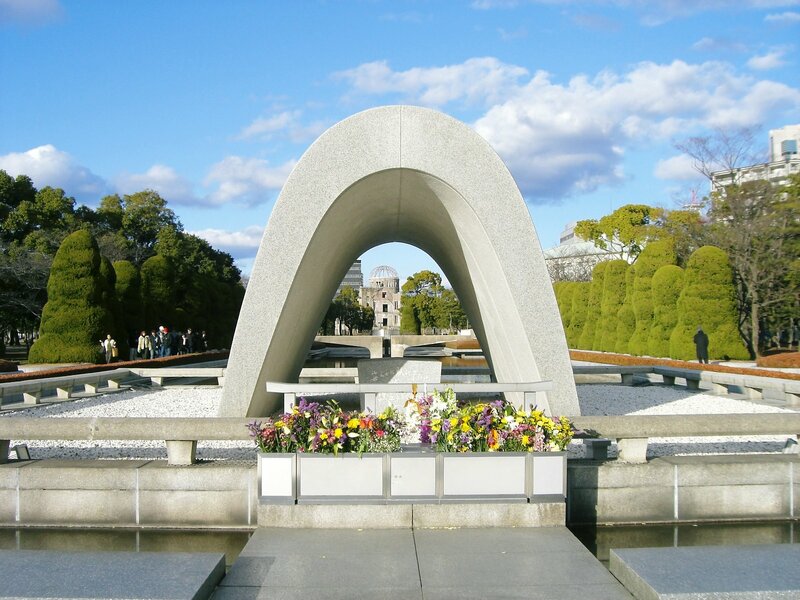 The city of Sendai is full of greenery called “Mori no Miyako” (The Capital of Greens), but in the city after the war the building was destroyed by air raids, especially under the harsh environment where the air was full of flying grit in winter. In order to manage this situation, it seems that citizens and others invented an event covering zelkova trees, which is the source of the current “Page of of Starlight”, with electric decorations. Currently under clear air, during the event period, over 600,000 beautiful electric decorations are said to cover trees. 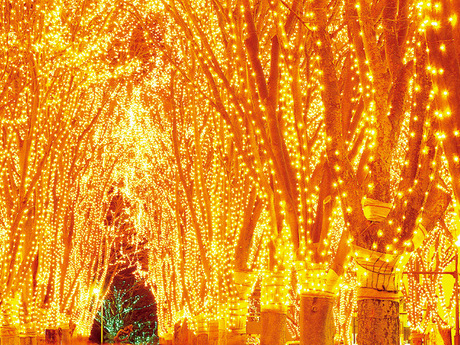 Approximately 600,000 illuminations shine on 160 zelkova trees of the Zenjo-ji Street “Sendai Pageant of Starlight”. During the event period, not only illumination but also Kotodai park and citizen open space will be set up opening booths and ice rinks etc. Also, around the venue, “Starlight Symphony” will be held on the first day of the event, and Sendai Philharmonic will hold charity concerts and many fun events will be held. This event has a long holding period and lighting ceremonies are held three times every day, so how about walking to Sendai, looking forward to the winter scenes beautifully coloring the Capital of Greens? The “Sendai Pageant of starlight” is annual illumination event of Sendai-shi every year on December. 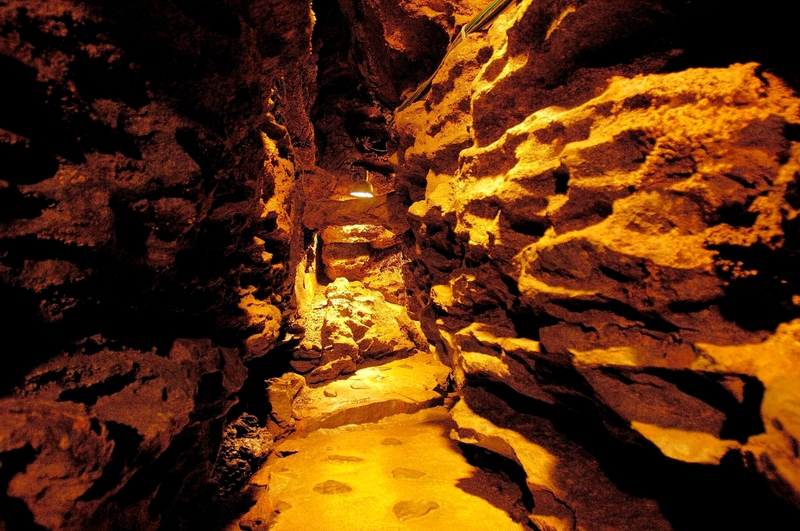 It becomes the common feature in the winter time of Sendai-shi, and continues being held more than 30 years. Citizen volunteers having given zelkova tree-lined illuminations had been the beginning of it, and its scale is extended now, there is an immense crowd nearly 3 million every year. It is carried out every year from the beginning of December to December 31. Its lighting time is from 17:30 to 23:00 (24:00 lights out only for December 31th). In addition, at 18:00, 19:00, and 20:00, all electric bulbs temporarily turn off. This event called “a starlight wink” that is very popular so the audience raise a round of cheers. 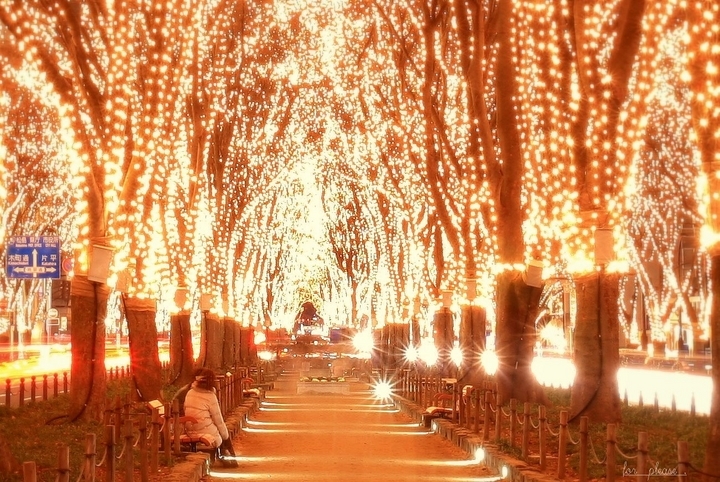 The scene of hundreds of thousands of LED which is mounted on zelkova tree-lined seems like “a corridor of the light” seeing from ground, and like “the Milky Way” seeing from the sky. 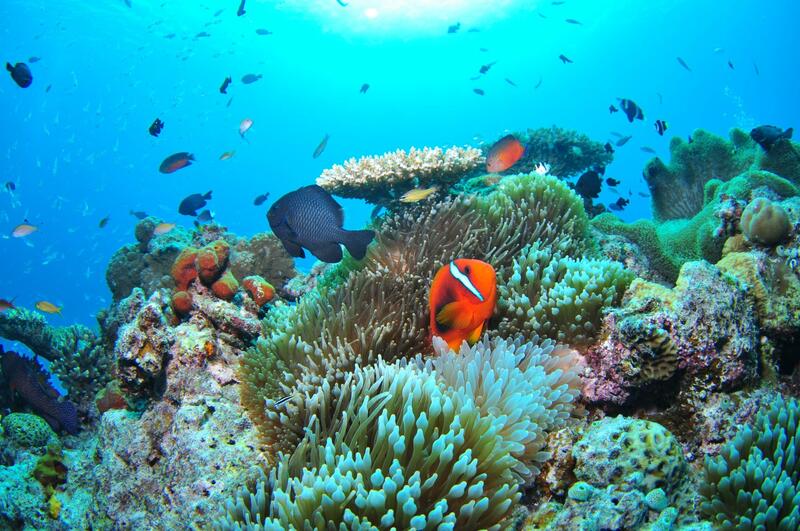 This scenery is beyond a doubt the best part, as if you feel being in a forest of the light. It is a splendid illumination event so everybody feel happy while they are surrounded by the warm light of electric bulbs. 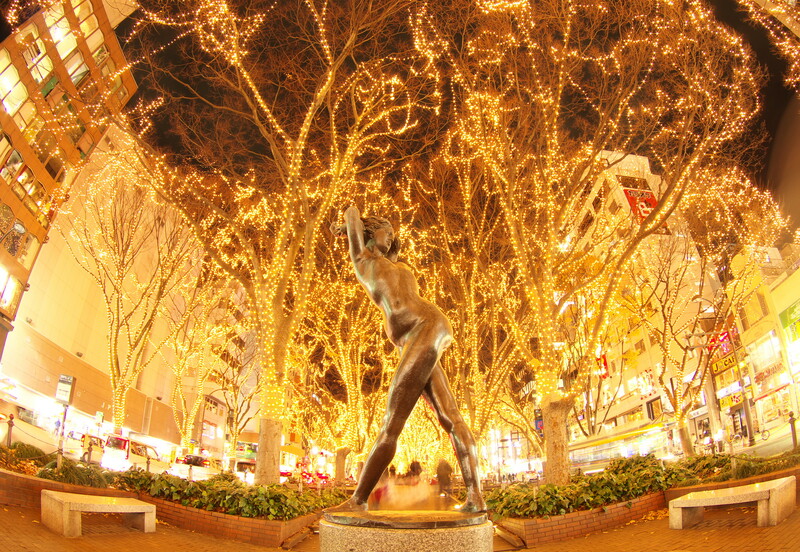 The gentle light of illuminations to color the tree of 160 zelkovas light up the night of Sendai.